There are many places in the world dedicated to someone or something. These places have special charm because they are made in a special way. There are such destinations for couples or lovers as well. These are destinations where couples prefer to go for special reasons like honeymoon. They are advertised in that fashion as well. But in this article we are going to talk about a place in Ukraine which name itself says that it is the place for lovers. 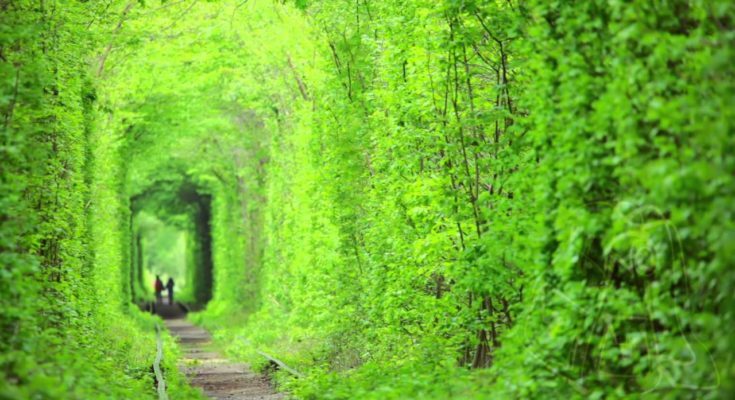 This is Tunnel of love in Ukraine. This is a place for people who are head over heels in love. Earlier it was a normal travel spot in Ukraine but now it is known as one of the most romantic places on the planet. You must explore this unique place on your Ukraine Tour. Let us Explore Tunnel of love. Tunnel of love is a section of industrial railway which is near Klevan in Ukraine and it links Klevan with Orzhiv. The railway section is about 3 to 5 KM in length and it is surrounded by green arches. The railway line starts at Klevan station and goes to northern area of Orzhiv. Major part of the railway line is covered by forest. In this entire length, the tunnel stretches up to 5 KM. This is the simple description of tunnel of love. But more specifically the place the railway line and the tunnel has become symbol of love. This almost 2 mile stretch line surrounded by trees as turned into an natural tunnel. How did this tunnel happen? The name was given by locals for this fairy-tale track. This fairy-tale track happened naturally. Trees around the railway were left to grow on its own and train passing back and forth 3 times a day shaped it into a tunnel according to its size. There is a train that transports wood to the nearby fiberboard factory and thus runs three times every day. During the rest of the times the railway tracks through the tree tunnel becomes a lovely stroll especially for couples. And over time the romantic settings here has earned the tunnel the famous name of the “Tunnel of Love.” There are other names for the tunnel too that includes the Green Mile Tunnel. 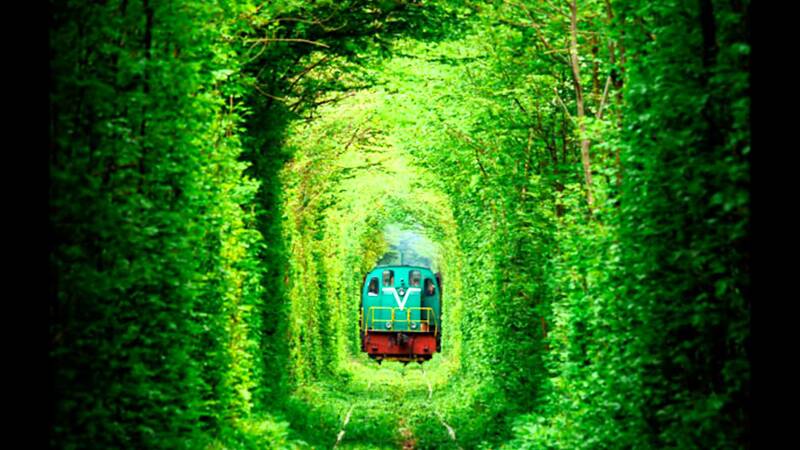 Green Mile tunnel is the name for obvious reason of the bright leafy branches that arch over the railway. Today this tunnel is super popular among couples. However that does not mean the people aloe or in a group will enjoy the place any less. Now if the tunnel is famous for couples then there has to be some belief attached to it as well. Yes, there is belief for couples that if two people are sincere in love and they cross the entire length of tunnel while both holding each other’s hands then whatever they wish for will become true. Locals believe that couples who visit the tunnel will be granted a wish, if their intentions are true and sincere. The tunnel gets super lush during the spring and summer when the trees around reach the peak of their leafiness. And if you thought what is special in other season then you should know that during winters the colorful foliage of fall and snow-covered branches of winter create captivating sights for the visitors too. 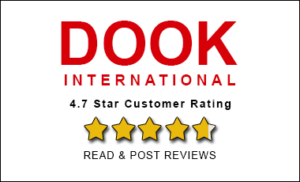 So, one romantic couple, one individual, family of group of friends can experience the best moments at tunnel of love when they in Ukraine with best Ukraine Tour Package. You don’t get to experience such train rides or rail track walk everyday where surrounding is like a scene from fairy-tale. You don’t find yourself surrounded by natural green arches when you are in a train. This is the reason why Tunnel of love in Ukraine is special. Try to be here once in your life to know why tunnel of love is super special place especially if you are in love.